Tavern on the Green is an iconic restaurant that should be on the top of everyone’s bucket list. 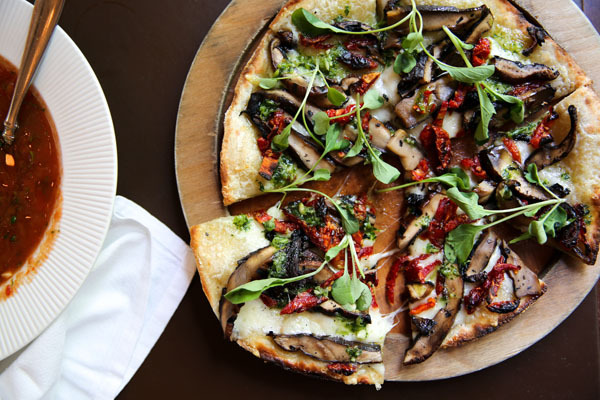 Contrary to popular belief, this rustic-chic restaurant located in the heart of Central Park West is not only for tourists but also native New Yorkers. 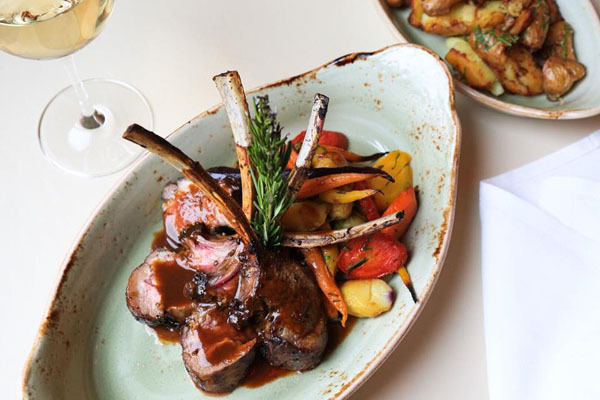 The restaurant has created a delicious seasonal menu and an atmosphere, which celebrates the restaurant’s past as a sheepfold as well as highlights the energy of New York City, that diners’ keep coming back for more. 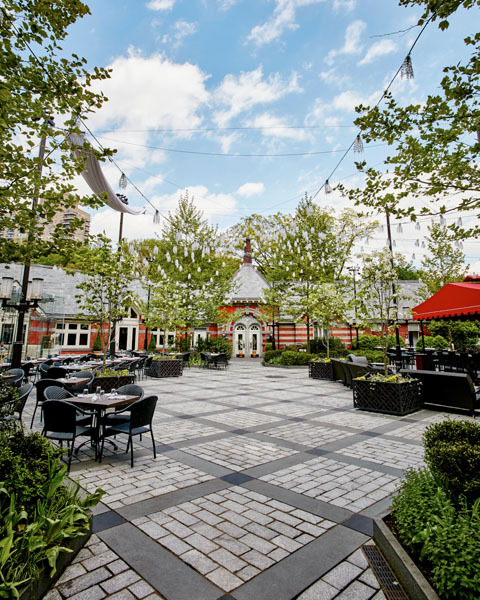 Its proximity to Museum Mile, Lincoln Center, and other staples of Central Park, such as Bethesda Terrace and Fountain, the carousel, and the Natural History Museum, just to name a few, make Tavern on the Green the perfect restaurant whether you are coming or going. Executive Chef Bill Pete and his team are cooking new American cuisines such as the salmon burger served with a cilantro fennel salad, sweet potato fries, and a chili aioli or the caramelized rack of lamb served with roasted carrots, broccoli and a honey and herb glaze. If you are not too full from the main course, try one Chef Pete’s exceptional desserts such as the peanut-butter chocolate lava cake, topped with vanilla ice cream and peanut brittle. 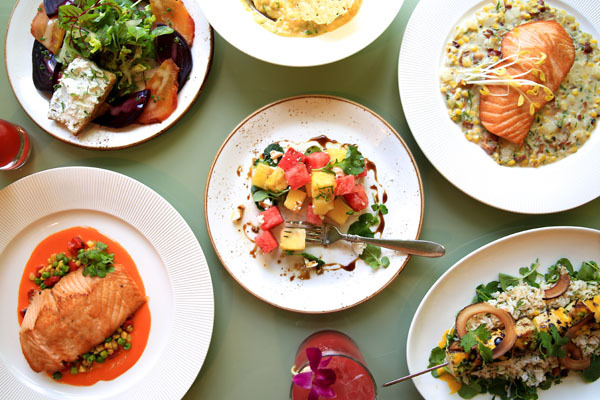 Not only does the famed restaurant serve delicious lunch, dinner and weekend brunch menus, they also have refreshing cocktails and an incredible outdoor backdrop of the park perfect for happy hour. Tavern on the Green has a cocktail inspired by and named after each of the five boroughs of New York, as well as fun fruity beverages such as the raspberry tarragon limeade with Finlandia Vodka, raspberry, tarragon, and lime. 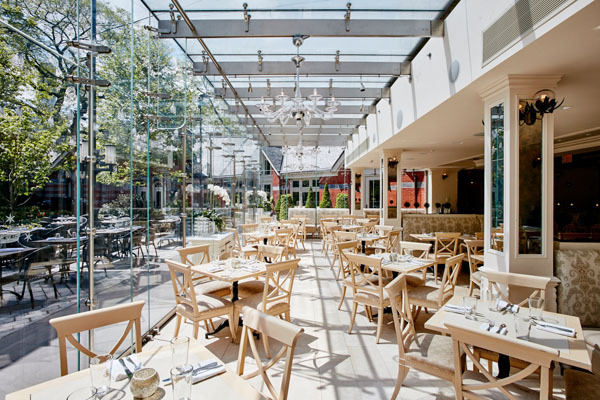 Tavern on the Green provides guests various seating options: the main dining room, the glass window area– which spans from floor to ceiling, the courtyard, the beer garden, the south wing and terrace as well as the bar room. Tavern on the Green offers walk-ins, although it is highly recommended, but not required, to make a reservation and take-out dining options. You can even host semiprivate and private events in the iconic space. During the nice weather months, guests can eat and drink outside in the courtyard, especially at night when the twinkly lights are lit up in the trees. When the weather is a bit colder, you can still enjoy the view of the park from the glass windows letting in natural light into the main dining room. On Thursday and Friday evenings as well as during weekend brunch and dinners, diners’ can enjoy live jazz music as they are taken care of by the very accommodating staff of landmark eatery. Tavern on the Green is an unforgettable fine dining experience waiting for you to plan your visit.